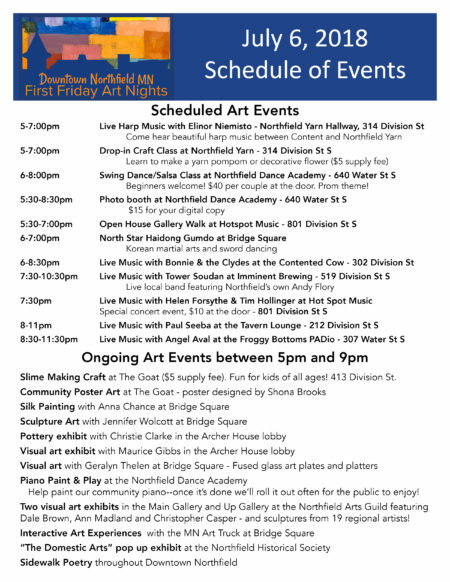 First Friday Art Night returns this week to Downtown Northfield with a full slate of interactive art experiences and exhibits. 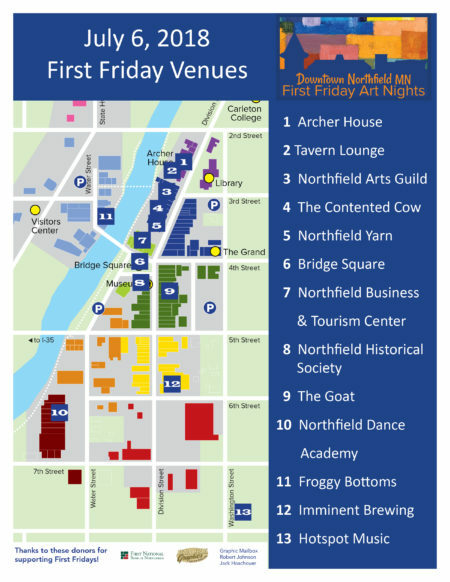 The monthly event, hosted by the Northfield Downtown Development Corporation, happens on the first Friday of every month from 5-9pm. 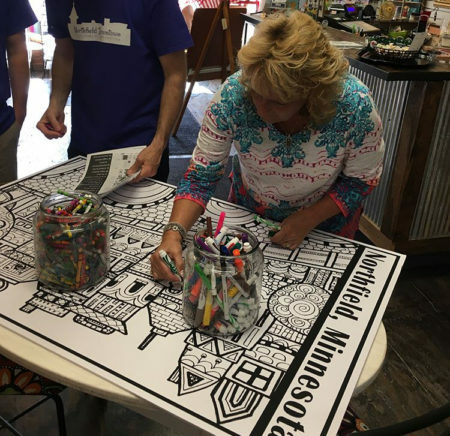 Artists and musicians will be sharing their work at various locations and the public is invited to stroll through the historic downtown area and enjoy the art crawl at their own pace. This month’s lineup includes free experiences like harp music, silk painting, piano painting, community poster coloring, the Minnesota Art Truck, Korean Martial Arts, a wide variety of visual art exhibits and plenty of live music. A few of the events require a small fee including a yarn art class, slime making class, canvas art painting class, swing/salsa dance class, photo booth and a bluegrass/folk music concert. We’ll see you downtown on July 6th!